Banana Fritters - Delicious breakfast or healthy snack! 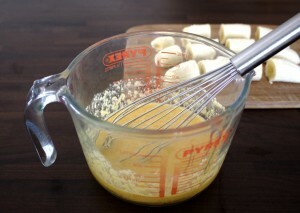 I’ve been wanting to try making SCD-legal banana fritters for a long time. When I was studying for my masters, I lived with a Chinese girl who used to make them all the time. 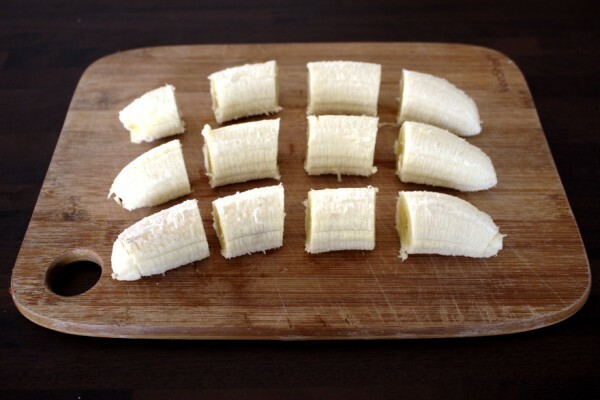 They were so easy and delicious and I have been really craving them recently. They taste great on their own or paired with your favourite dairy-free ice-cream. You can see my ice-cream recipes here if you want to make your own. This recipe is quick so you can easily whip them up mid-week for dessert. 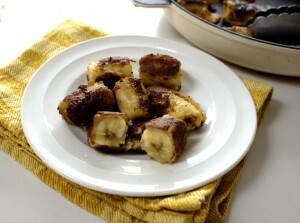 They’re also a great recipe to make if you have too many overripe bananas hanging around! My daughter loved these and was quite fascinated that they were made from bananas. I think one of the best things about being on SCD is being able to create healthy treats and desserts for my family. I actually feel good giving my family something sweet everyday because I know they are not loaded with artificial or unhealthy ingredients. These can be slightly messy to make but are so worth it! I made these in my new iron skillet which I actually LOVE! 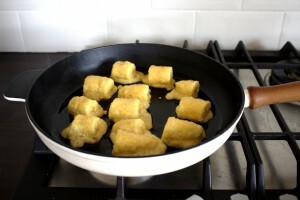 It can be difficult to get used to cooking in it when you are used to using non-stick cookware. I never liked non-stick cookware anyway because I hated that the coating came off so quickly. I didn’t realise it actually could be dangerous though until I read this article by Wellness Mama. Now, I always stick to ceramic, glass, stainless steel or cast iron. A good excuse to buy some fancy cookware! If you use it everyday like I do, it is really a good investment. 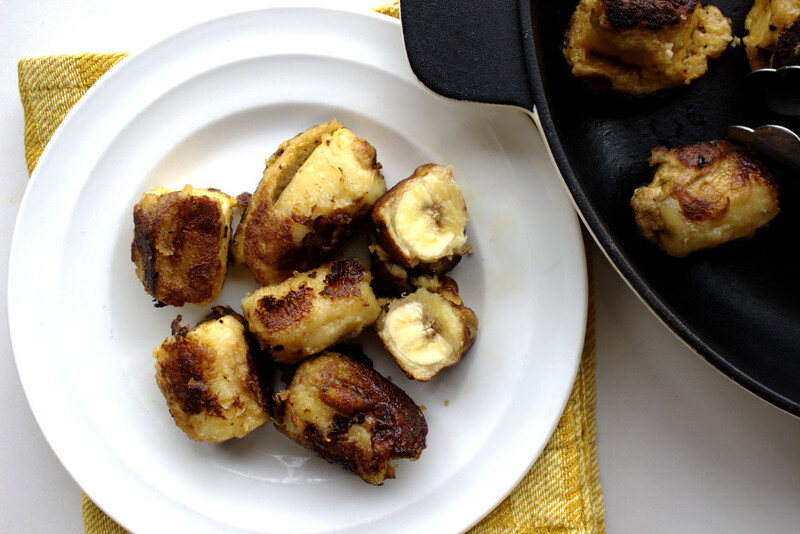 Back to these delicious banana fritters. You won’t regret making these. I promise you! For more snack ideas suitable for the Specific Carbohydrate Diet click here.